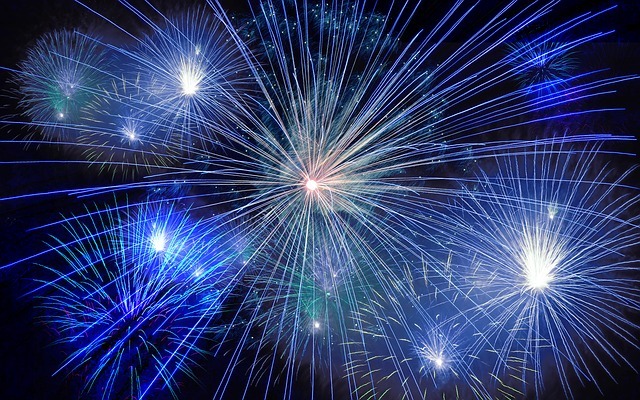 As the Fourth of July approaches, the Wisconsin Attorney General's office has released their annual reminder about fireworks laws. Wisconsin Statute 167.10 addresses the regulation of fireworks in Wisconsin and lists various firework-related devices that aren't regulated, such as sparklers or toy snakes. Anyone looking for a concise summary of fireworks laws should look at the WI Dept. of Justice's summary of Wisconsin Fireworks Law (2014), which is geared towards law enforcement. This guide includes a list of items that are generally legal in Wisconsin without a permit, as well as those that are illegal without a permit throughout Wisconsin. It's important to note that further restrictions and enforcement rest with local authorities, so be sure to check local ordinances. Permits are generally issued by local authorities (i.e. the mayor or person designated by the mayor). The press release also covers examples of laws and practices you might see for local fireworks regulation. 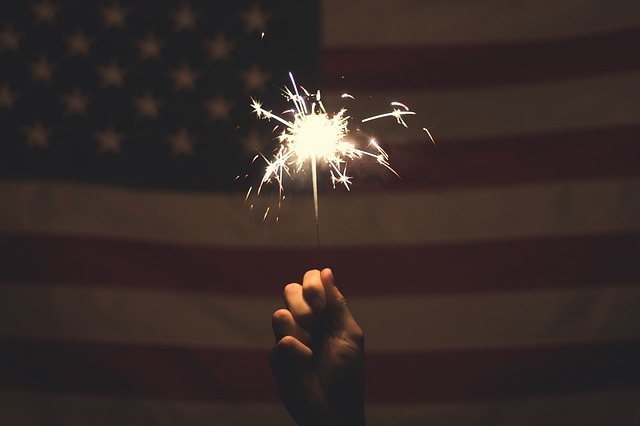 Our three library locations will be closed on Wednesday, July 4th for the Fourth of July state holiday. We will respond to questions and requests on Thursday, July 5th. To ask a question while we are closed, you can call us at (608) 267-9696 or Ask a Librarian online. Access to databases, such as HeinOnline, and our online catalog is now working following this morning's system work. Thank you for your patience! Please call us at 608-267-9696 if you have any issues using our databases or library catalog. Users outside of our libraries are unable to access databases, such as HeinOnline or Index to Legal Periodicals. We are working on fixing this issue and will post again when access to these databases is working again. If you need help accessing information from these databases, please call our reference desk at 608-267-9696. For eFiling litigants, a fee waiver can also be requested and the court has created instructions for eFiling and waiving court fees and costs. A fee waiver request does not include other related fees, such as service of process fees from a private process server or Sheriff's Department. Check with your local county court for information on fee waiver requests for other programs, like this Outagamie County request for waiver of family court mediation fees. Some types of cases don't require filing fees, such as most temporary restraining order petitions alleging domestic abuse or stalking. 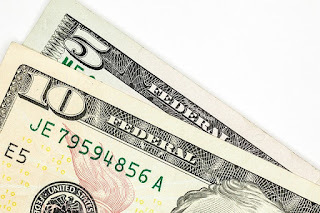 Check the WI Circuit Court fee, forfeiture, fine and surcharge tables for more information on filing fees and costs for particular types of cases. Finally, check with your local county court for more information on procedures and fees. Due to scheduled system maintenance, our catalog and access to online databases will be unavailable on Thursday morning beginning at 6 a.m. We anticipate full access to these resources will be restored by mid-morning. Please ask a librarian if you need help accessing the library's collection during this time. Call us at 608-267-9696. 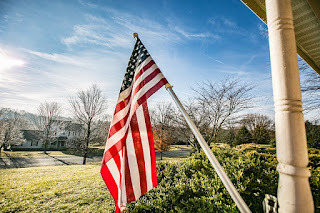 On June 14, 1777, the Second Continental Congress authorized the creation of a new flag to symbolize the United States of America. "Resolved, That the flag of the ∥thirteen∥ United States be thirteen stripes, alternate red and white: that the union be thirteen stars, white in a blue field, representing a new constellation"
You can read about the history of Flag Day and a little bit of history about the American flag in the Library of Congress' "Today in History" entry for June 14. 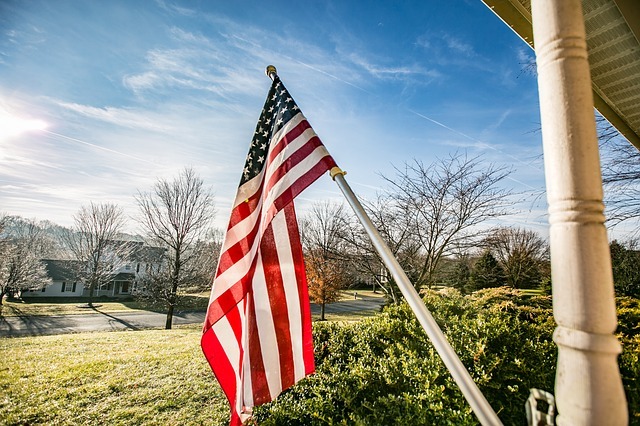 Our Etiquette and Protocol page links to guides and several statutes about the proper use and display of flags. 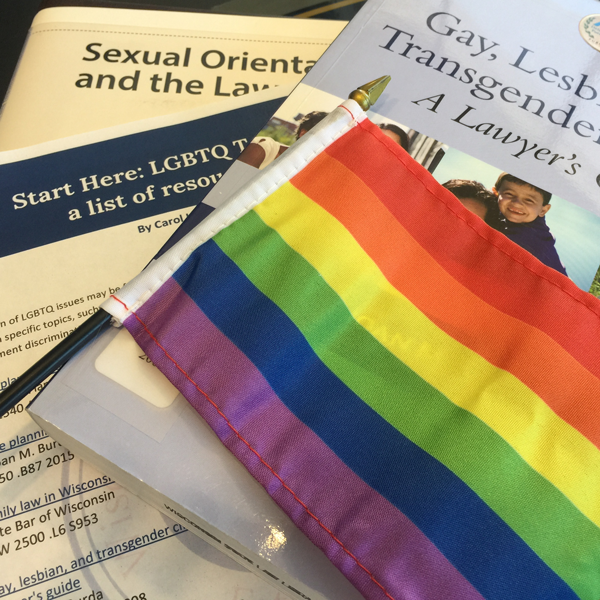 June is Lesbian, Gay, Bisexual, and Transgender Pride Month (LGBT Pride Month) and we've put together a short resource guide to help users who are researching legal issues for LGBTQ individuals. Our guide features books from our collection, recent law review articles and journals, and a short list of useful websites. Find our LGBTQ research guide and other Start Here guides on our website. The June issue of WSLL @ Your Service is now online. As always, your comments are welcome. Please direct them to the editor, Carol Hassler.